Churches are supposed to be the place where Christians worship God. 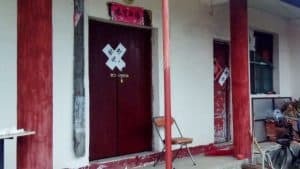 In central China’s Henan Province, however, the government is forcibly occupying churches in large numbers and turning them into theaters, game rooms, and other types of entertainment venues — all to Christians’ torment. 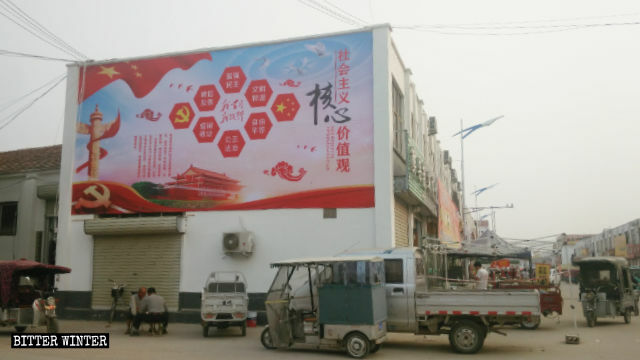 A “socialist core values” poster was put up on the wall of the church in Caowu Village. 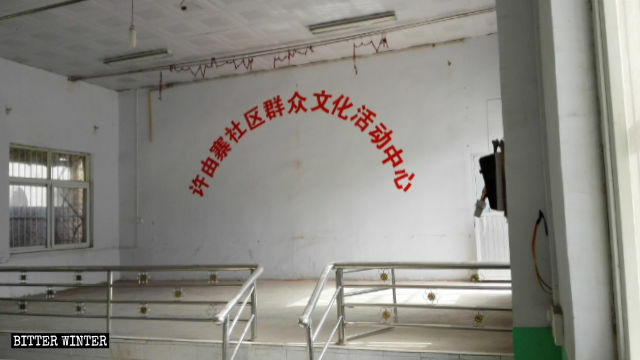 It’s been two months since the Chinese government shut down the church in Caowu village and turned it into an entertainment center that propagates “socialist core values,” at least according to the poster that adorn the walls instead of the cross that was upon the building before. 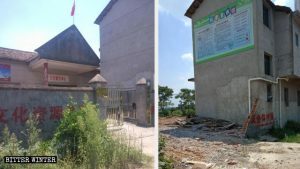 The words “Christian Church” were replaced with the words “Great Love for China.” And signs that read “Caowu Village Integrated Cultural Service Center” and “New Age Cultural Practice Center in the Model Area of Urban-Rural Integration Project in Shangqiu” were hung up by the doorway. 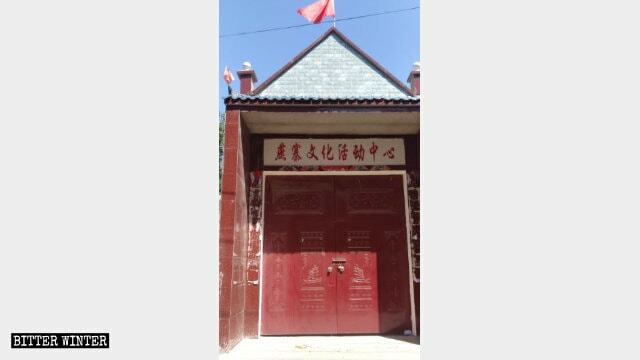 A poster with the words “Glorious History of the Communist Party” posted on the wall of the church in Caowu village. 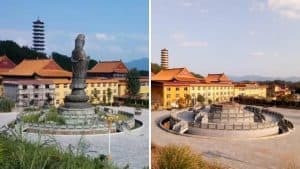 The same goes for a Three-Self church in Nanyang city, in the southwest county of Tanghe, which has also been hosting secular performances for a month; every weekend the county government organizes operas at the church. Prior to this, the church’s cross was taken down from the building, the church’s facilities cleared out, and the church renamed a sports and cultural activity center. 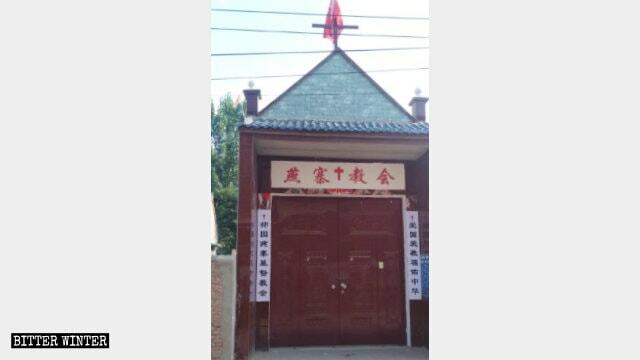 The church in Xuyouzhai village, Xuchang city, before being forcibly occupied by the Chinese government. 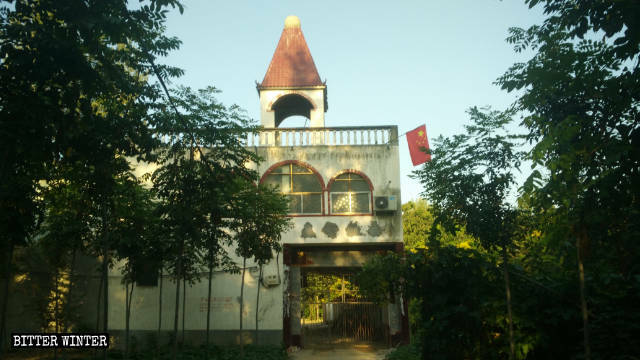 The church in Xuyouzhai village, Xuchang city, after it was taken over by the Chinese government. 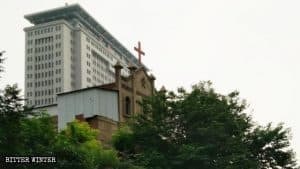 This movement of forced occupation and repurposing of churches is already silently beginning to unfold in Henan Province. 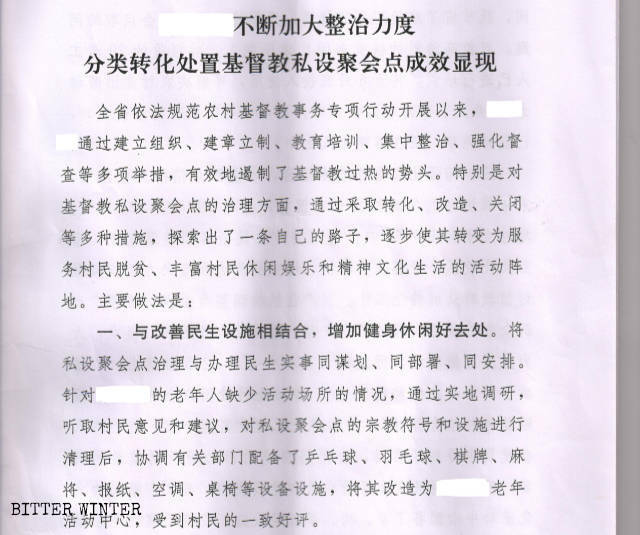 According to an internal document, titled Compilation of Special Operation Exemplary Cases, which was issued by Henan’s provincial special operations office in July 2018 and obtained by Bitter Winter, a special focus on Christian houses of worship is now demanded by the government. It’s not just the “privately established” congregation sites that are being “repurposed” and “transformed,” but the state-sanctioned ones, too, like the Three-Self churches mentioned above. And in order to go after any and all kinds of places of worship, the government is encouraging other citizens to proactively join the “entertainment” forces, claiming it’s for the enrichment of the “recreational” lives of the masses —when, in reality, they’re trying to eliminate religion’s influence on people by filling their life with entertainment. 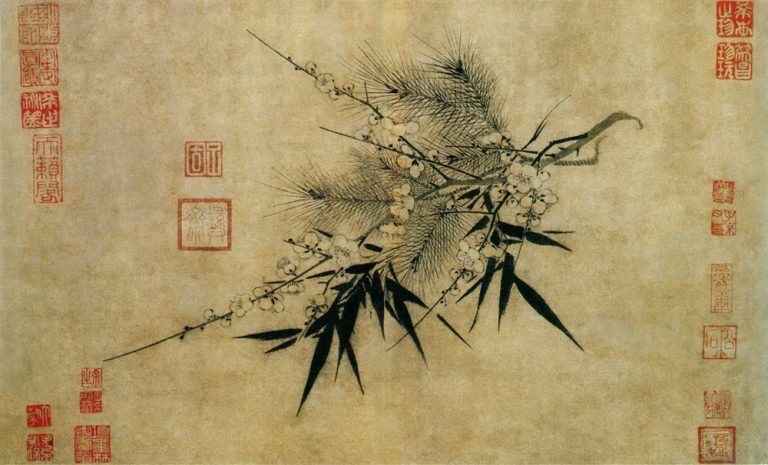 The original appearance of Yanzhai Church in Kaifeng city. Yanzhai Church in Kaifeng city was turned into a cultural activity center. 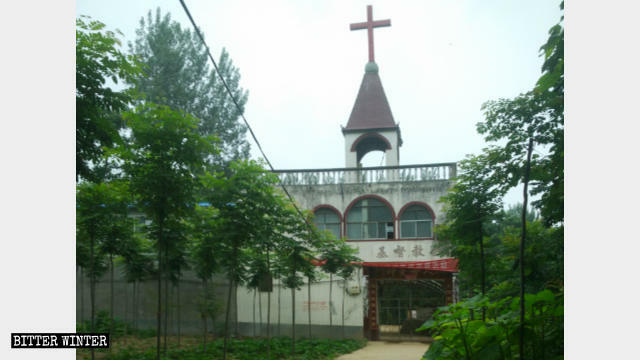 The church has been known as the “Gaozhuang Village People’s Activity Center” for over four months now, and all images of Jesus, the Ten Commandments and crosses have all been replaced with playing cards, mahjong tables, Chinese checkers sets, and other recreational facilities. 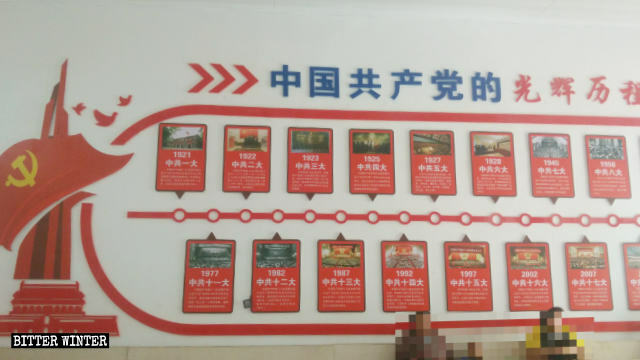 Many other churches in Henan have been repurposed into game rooms as well; Bitter Winter has received cases documenting over 30 examples. 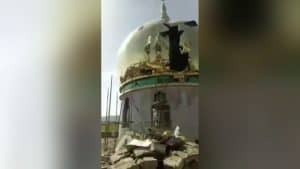 “The church is a holy temple for worshiping God; seeing it be forcibly occupied by the government and turned into an entertainment venue is even worse than if it had been demolished,” a believer said.